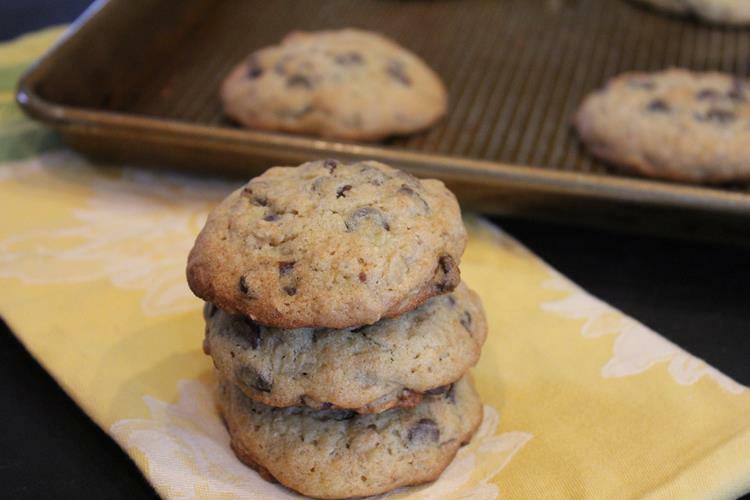 Banana Chocolate Cookies are a great way to use up those ripe bananas on your counter! Yesterday I had a couple of bananas that needed used up. I did not want to make my usual banana bread recipe. I wanted to make something different. These chocolate banana cookies were just what I was looking for. These are a great way to use up a banana or two that you might have. They also have whole wheat and oatmeal in it so they are at least a little healthy. You can easily leave out the whole wheat flour though and use 1 1/2 cups regular flour if you don’t have any or don’t want to use whole wheat. 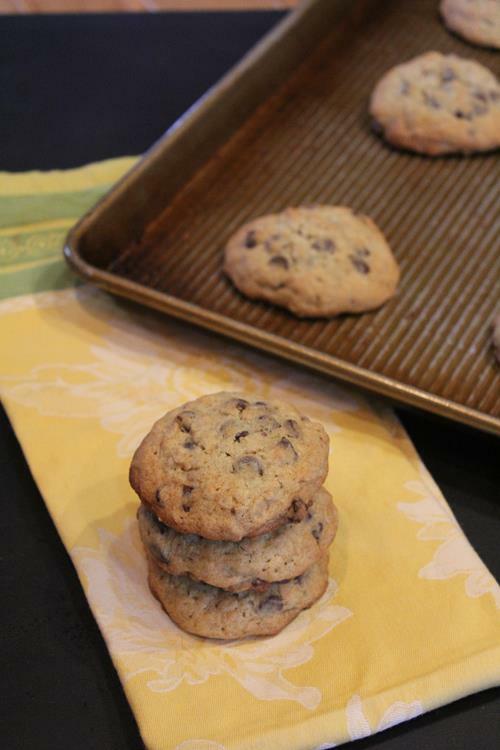 If you are gluten free be sure to check out my gluten free version of these cookies. Whisk together flours, salt, and baking soda in a small bowl and set aside. Place butter and sugars into a mixing bowl and beat on medium speed until light and fluffy. Reduce speed to low and add egg and vanilla. Mix until combined. Mix in banana. Add flour and mix until just combined. Stir in oats, chocolate chips. 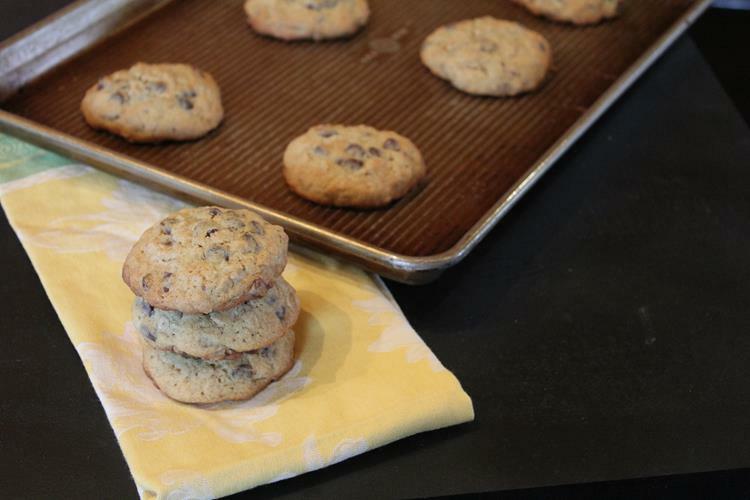 Using drop dough onto baking sheets using a cookie scoop or use a heaping tablespoon full. Space about 2 inches apart. Bake cookies 11-12 minutes or until edges are lightly browned. Sounds good! I will have to try these. Another one for me to try. I’m always needing to use up banana’s and like you I get tired of just the banana bread. YUM! I was just thinking yesterday that I had bananas to be used up- this sounds WAY yummier than banana bread! Thanks! Thanks for sharing this recipe. I thought I had enough bananas for bread, but I don’t and these look delicious! Thanks Niki for letting me know you liked it. I am glad to know the changes you made also. I have never use rapadura sugar but I need to try it out. Thanks. OMG i made these today…. these are my new guilty pleasure! thank you soooooo very much! @Chris, I am so glad you enjoyed them. I have also made a gluten free version and I agree it worked well. I need to post that version in my allergy section. Made these last night. I added dried cranberries. This ones a keeper! Thanks for sharing. OMG, just made them this morning with my 3 yr old, so yummy, used 1&1/2 banana cause we love the flavor can’t wait for my kids to get home from school today they will LOVE me oh and hubby too. Thanks we love your recipes you never disappoint!!! I’m so glad I read the comments because I so badly want to make these! I tend to freeze my bananas and use them in an oatmeal, banana, peanut butter smoothie (which is super delicious), but I may have to make these. I’m new to gluten free so all I have is GF all purpose flour…do I use the same amount as listed in the recipe? I haven’t actually used the flour yet to know how it acts so I have no idea. Thanks so much! These are a chewier lighter cookie. They are not crispy and crunchy. I hope that helps. I have some banana’s that really need to be used so this is on my list of baking tomorrow. Thanks.